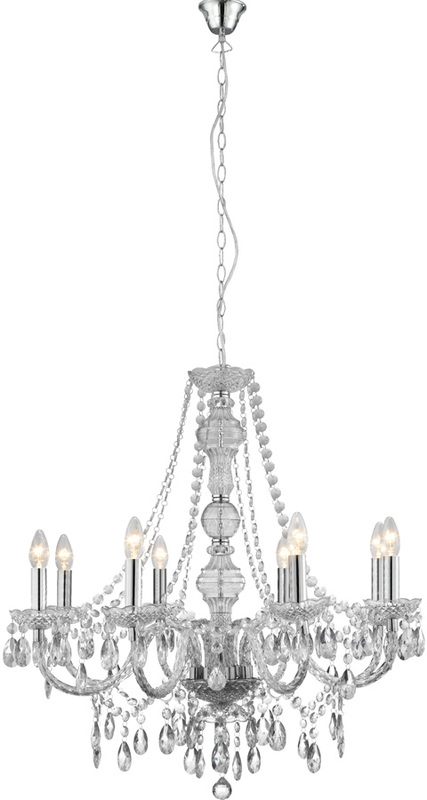 A traditional eight light chandelier constructed from clear acrylic and accentuated with chrome candle tubes, central chrome column detail and matching suspension chain. 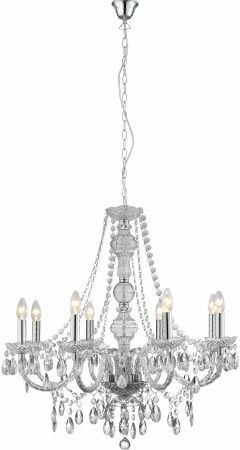 Awash with clear acrylic buttons and droplets, this dimmable ceiling chandelier is sure to bring a touch of elegance to a spruced up boudoir, entrance hall or dining room. 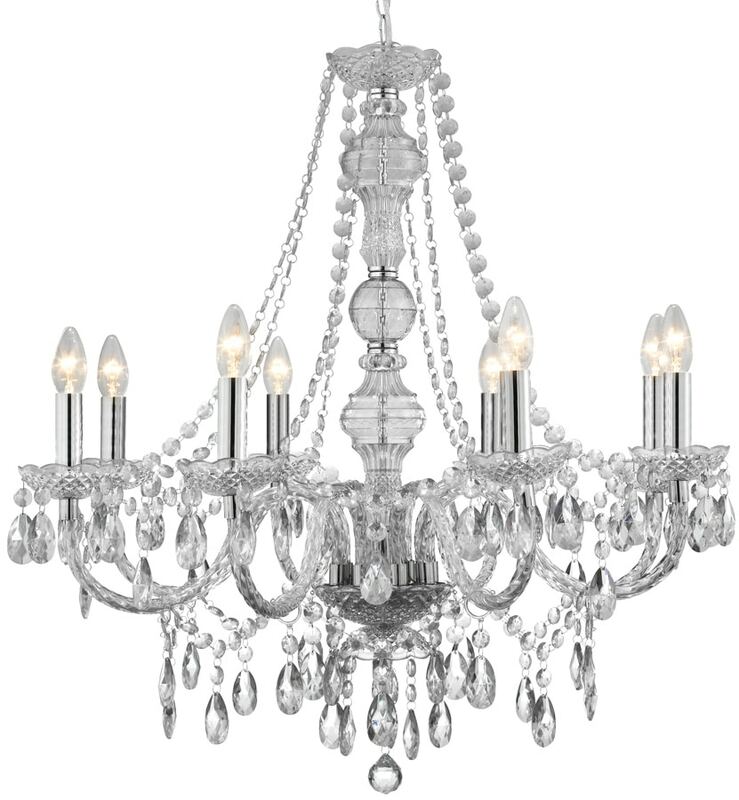 Height adjustable at time of installation by simply removing one or more of the suspension chain links to a maximum drop of 150cm.